Wow. 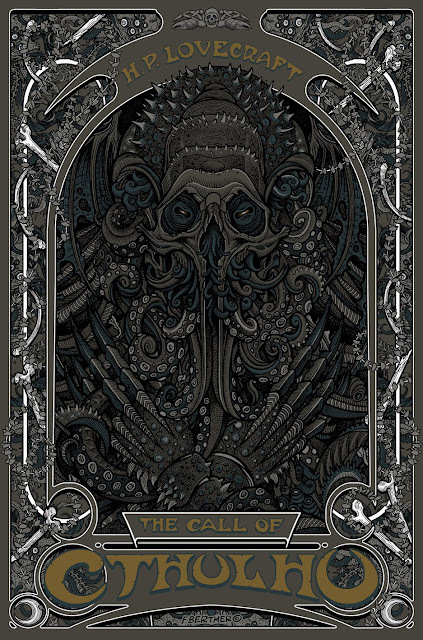 Florian Bertmer posted a picture of his new "Call of Cthulhu" artwork and it's just stunning. It's a piece for the Required Reading gallery show, where artists were asked to pick one or two books and create something unique based on them. Done! I mean, Bertmer has basically reinterpreted my favorite eldritch cosmic horror with heaps of style and buckets of verve. Genius! This is literally THE best cover illustration for "The Call of Cthulhu" I've ever seen. It's a perfect mixture of 1920s Art Deco and eldritch horror! It's not art deco at all it's a spoof of the crimson ghost or "Misfits" (the band) logos. There are contents as well as difficulties, where you must make Musical.ly Online little buggy because of the regular application updates. You could download this application from straight download web link. Whatsuply also phone call without paying money, you simply require the net. Extremely unpredictable, it rises and fall every so often throwing up unpredictabilities, misfortune, poverty, best of luck and in worst cases death and also self-destruction. scottradelogin.us your account and also get in a new one.